Sitler’s LED Supplies and Premier Ag Systems provide “very durable and trouble free….high quality superior LED lighting…” to our agriculture customers. Sitler’s LED Supplies and Stickfort Electric deliver “night and day lighting difference…” to Dan Deery Toyota. Providing the best possible lighting solutions for your business needs. Stickfort Electric has noticed LED lighting projects help maintain project and workload consistency throughout the course of the year by supplementing other traditional electrical services. Sitler’s LED Supplies has opened a new office in Princeton, Illinois. New Sitler's LED Product Catalog! We work as a partner with our customers to offer the best possible LED lighting solutions. View our catalog for our most popular products. New LED lights from Sitler’s LED Supplies brighten Iowa’s George-Little Rock School District! Join our LED ZONE. The Sitler’s LED Zone is designed to provide our registered Electrical Contractor’s with the latest LED lighting information, tools, and incentives. From design to installation Sitler’s LED is here to help. Higher light quality and lower energy bills are two of the many reasons to invest in LED lights for your business. We are the premier eastern and central Iowa LED lighting distributor you can trust to be with you from start to finish. 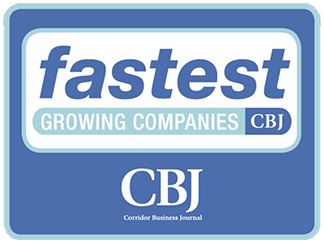 With the help of our skilled and knowledgeable professionals, you know you’re getting the best product, the best service, and the best benefits. You are a growing business and are considering investing in LED lights. But how exactly will LED bulbs help your company? When working with our professionals, we calculate an estimate regarding how much money our lights will save you per year, giving you a clear picture of how LED lights will improve your business and bottom line. The process of selecting lighting for your business is a stressful task. Without extensive knowledge of the electrical field, it can be difficult to decide what commercial lighting product is best for your business. Yet everyone can agree that you get what you pay for. Purchasing inexpensive lights may be cost effective now, but you are costing yourself more money in the long run. The results are in; swapping out your fluorescent lights for LED bulbs saves you time and money. The lights pay for themselves over time with the amount of money you save on your energy bill! Plus, without the hassle of bad ballasts and burnt out bulbs, you’ll spend less time changing lights and more time focusing on what matters most. Sitler’s offers their clients rebate processing as a value add service to ensure they receive the highest payback on their LED project. 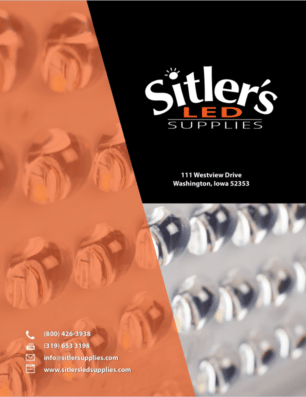 Sitler’s LED Supplies, located in Washington, Iowa, is a specialized lighting company that has been in business since 1977. Our company’s goal is to provide highly efficient lighting solutions to companies of all sizes.